Brand new festival Future Yard has launched, promising a weekend of Wirral weirdness. The two day event takes place in Birkenhead this summer, aiming to highlight those often overlooked Mersey town. Not far from Liverpool, Birkenhead has a life, vitality, and character all of its own, and this will be represented by Future Yard. 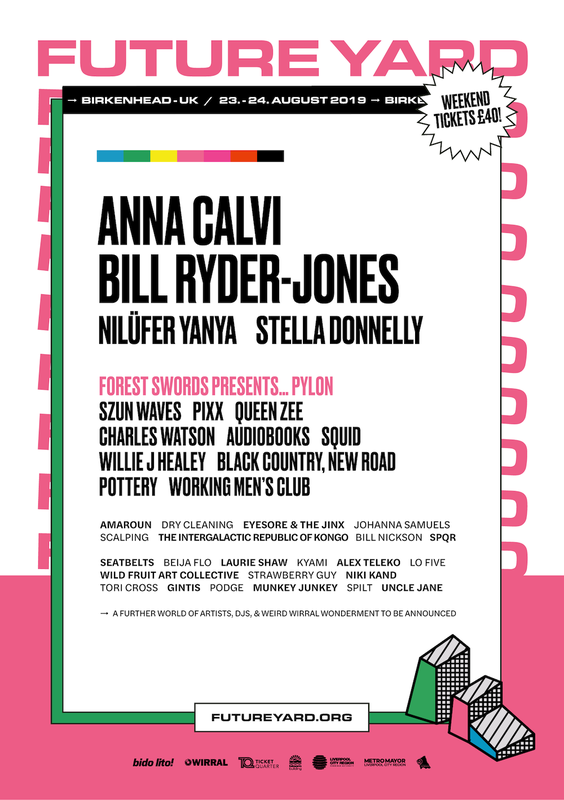 Sets have been confirmed from Bill Ryder-Jones, Anna Calvi, Stella Donnelly, and Nilufur Yanya, with Future Yard also set to welcome audiobooks, Squid, and Szun Waves. Spread across four venues, Future Yard aims to make full use of Birkenhead's heritage and history, such as commissioning Forest Swords for new project PYLON - a newly commissioned sound and performance installation set within the 850-year-old Birkenhead Priory. Future Yard 2019 from Bido Lito! on Vimeo. Future Yard runs between August 23rd - 24th.